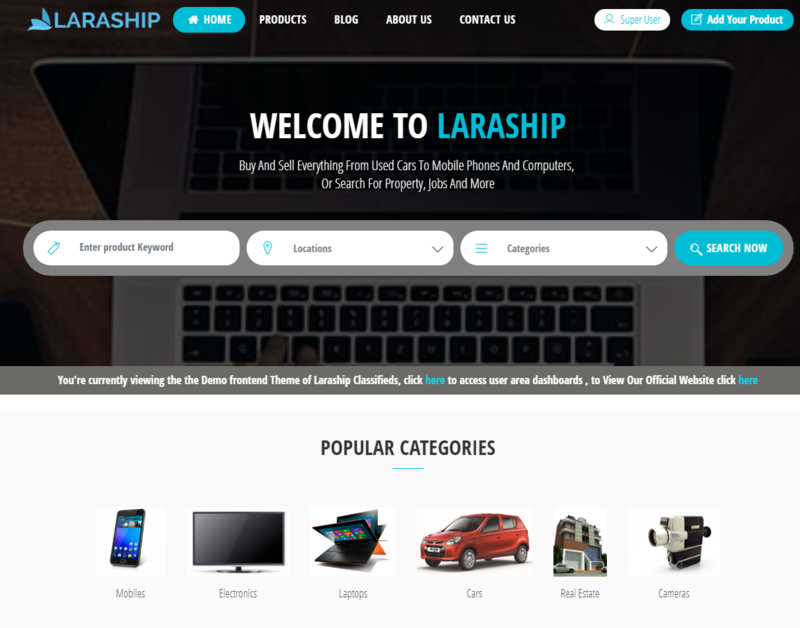 Laraship Classifieds comes with a complete set of features to start your classifieds and ads website with minimum effort needed. Category & Attribute Management: Multi-level categories with a different attribute set for each category to give unique details per listing type. Product Management: at both superuser and classified listing type with two unique experiences. Search Engine: Amazing Product listing page with powerful search results using Full-text search indexes. Multiple Currencies to display product prices. Social Login: Facebook, Twitter, Google+, Github.